WELCOME TO THE WORLD OF METEORITES ! Click HERE to see my ebay auctions! Please click here for my MUSEUM PIECES SALE PAGE! Meteorites from MARS and MOON for SALE ! IN THE SPOTLIGHT: Pantar (Philippines), Jilin (China), Wabar (Saudi Arabia), Mayo Belwa (Nigeria), D'Orbigny (Argentina), Benares (India), Timochin (Russia), Grosnaja (Russia), Béréba (Bukina Faso), Bovedy (Northern Ireland), Krasnojarsk (Russia), Barwell (England), Kandahar (Afghanistan), Hoba Iron (Namibia), Antarctic meteorites (Thiel Mountains, Mount Baldr, Lazarev, ALH76001, ALH76005, ALH76009), Allende (Mexico), Bondoc (Philippines). Pantar H5, Northern Mindanao, Philippines, fell 1938 June 16; 1.35 g, ex ASU collection. More than 100 meteorites, including one that weighed a record 1.9 tons, fell over 300 square miles of northeast China last month in one of the biggest meteorite showers in history. The official news agency (NCNA) said although the area embraced six communes with a combined population of more than 100,000, the shower caused no loss of life or serious damage. The shower occurred in the afternoon of March 8 when a large meteor - or "shooting star" - entered the earth's atmosphere moving at about 7.5 miles per second. It began to burn as a result of the intense friction and was observed as a large fireball over Kirin (Jilin) City in northeastern Kirin (Jilin) Province. NCNA said the meteor "exploded in the sky over the Chinchu People's Commune on the outskirts of Kirin (Jilin) City and scattered radially in all directions." "Judging by the meteorites already recovered, the shower covered an area of more than 500 square kilometers (310 square miles)," the report said. NCNA said a survey team dispatched to the site by the Chinese Academy of Sciences collected hundreds of meteorites ranging in size from one pound to 3,894 pounds, the largest ever discovered. The report said the last of the meteorites stabbed through nearly two yards of frozen soil, sank seven yards into the ground and formed a crater three yards deep and more than two yards in diameter. Biggest mass in a Jilin museum and near the hole caused by meteorite (picts: unknown source). A red fireball bigger than the full moon was observed about 3 p.m. March 8, 1976; the sounds produced by the shock wave during the fireball's passage through the air, the thunderous noise of its violent breakup, and a series of thunderous echoes altogether lasted 4 or 5 minutes and were audible to about one million people over an area of about 200 sq km. The largest intact meteorite weighed 1170 kg, and is the largest meteorite ever recovered. It dug a 6.5 m long crater at a 42 deg angle of inclination. Another 600 kg of fragments were found in the same crater, and additional meteorites were found in a distribution area of about 500 sq km. 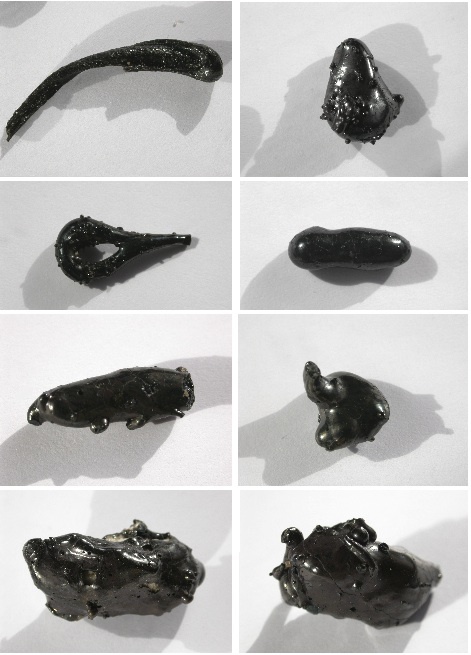 Four samples from the meteorites were analyzed, and it is concluded that the Kirin (Jilin) meteorite is an H-group (olivine-bronzite) chondrite. From: Scientia Sinica, vol. 20, July-Aug. 1977, p. 502-512. Wabar IIIAB Om; Saudia Arabia, found 1863, half slice 71.5 g.
The huge desert of southern Saudi Arabia known as the "Empty Quarter," or "Rub' al Khali" in Arabic, is one of the remotest places on Earth. Even though Bedouins warned English explorer Harry St. John Philby that "where there is no water, that is the Empty Quarter; no man goes thither", in 1932, he decided to hunt for a ruined city named "Ubar" or "Wabar", that according to the holy book of Islam, had been destroyed by God. 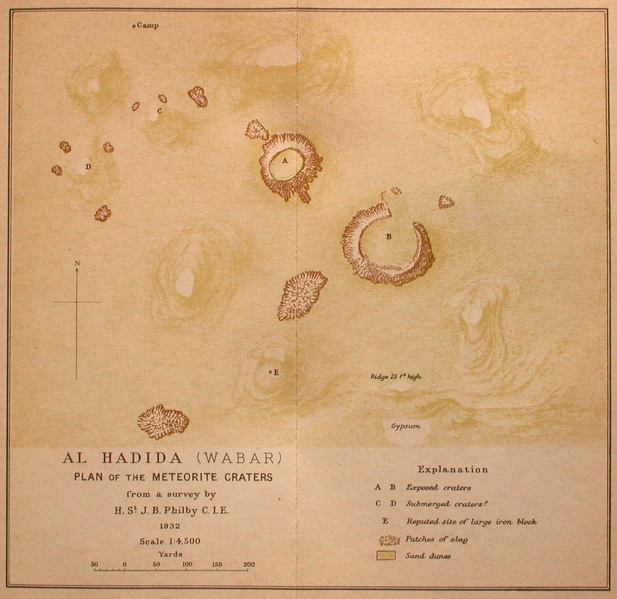 Tribesmen called the place "al-Hadida" (hadida in Arabic means a piece of iron), so Philby presumed that he could find iron artifacts, perhaps of great value. After a month's journey, Philby found an area, about half a square kilometer in size, littered with chunks of white sandstone, black glass, and pieces of iron meteorites. There were two large circular depressions, partially filled with sand. 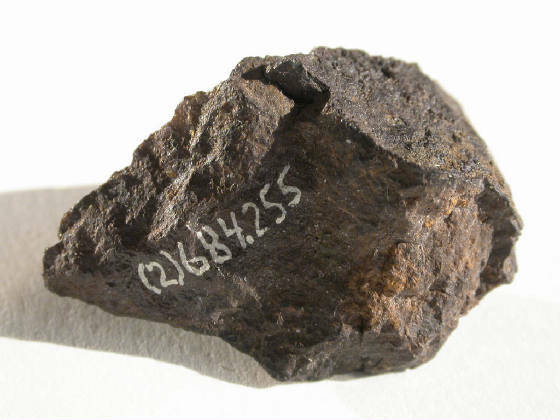 After his journey, Philby sent a rabbit-size fragment to Dr. L. J. Spencer of the British Museum for analysis and it turned out to be about 90% iron and 5% nickel - two common constituents of meteorites - with the rest consisting of various elements, including copper, cobalt, and an unusually high concentration of iridium, which also implied that the "Wabar" site was a meteorite impact area. A U.S. Geological Survey scientist, Jeffrey C. Wynn, was invited to join expeditions to the Empty Quarter site. Even with modern technology, the trip was a difficult one. Not only were conditions harsh, reaching 61°C (142°F) in May 1994, but the Wabar site was difficult to find, as it is located in the midst of an enormous dune field that has no fixed landmarks. The Wabar site covers about 500 by 1,000 meters, and the most recent mapping shows three prominent, roughly circular craters. Two, reported by Philby, showed a diameter of 116 and 64 meters. The third was discovered by Wynn and is 11 meters wide. All three are now nearly full of sand. Wabar "Pearls", sand, molten by meteoritc impact (the black colour comes from the meteoritic Fe-Ni). The surface of the area partly consisted of a bleached-white, coarsely-laminar sandstone-like rock, and was littered with black glass beads and slag. 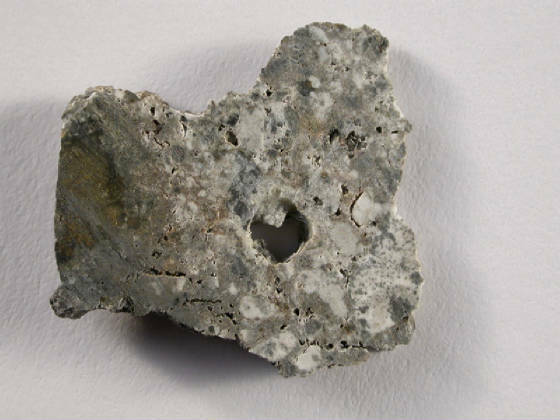 The impactite featured a form of shocked quartz known as "coesite," and is thus clearly the product of an impact event. The presence of iron fragments at the site also pointed to a meteorite impact, as there are no iron deposits in the region. The largest fragment was recovered in a 1965 visit to Wabar and weighs 2.2 tonnes. It is known as the "Camel's Hump" and was on display at the King Saud University in Riyadh until it became the entry piece for the new National Museum of Saudi Arabia in Riyadh. 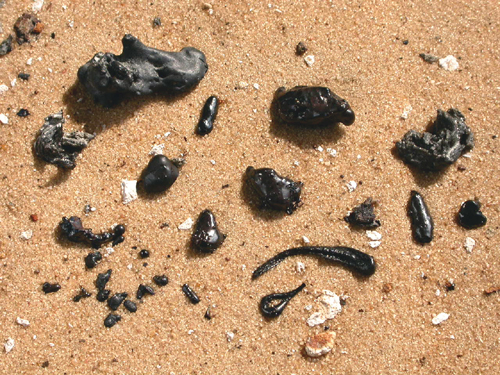 On impact of the meteorite, the sand was turned into black glass near the craters, and glassy pellets - the Bedouins thought were pearls - are scattered all over the area, decreasing in size with distance from the craters due to wind-sorting. The glass is about 90% local sand and 10% meteoritic iron and nickel. Because of the meteoritic content the glass appears black. Fission-track analysis of glass fragments by Storzer suggested the Wabar impact took place thousands of years ago, but the fact that the craters have been filled-in considerably since Philby visited them, suggests their origin is much more recent. Thermoluminescence dating by Prescott, Robinson, E. Shoemaker, C. Shoemaker and Wynn, suggest the impact site is no more than 260 years old. Arab reports of a fireball passing over Riyadh, variously reported as occurring in 1863 or 1891, also indicate a more recent impact. Mayo Belwa Aubrite; fell in Nigeria 1974 August 3. 2.710 g with "heart shaped" vesicle. 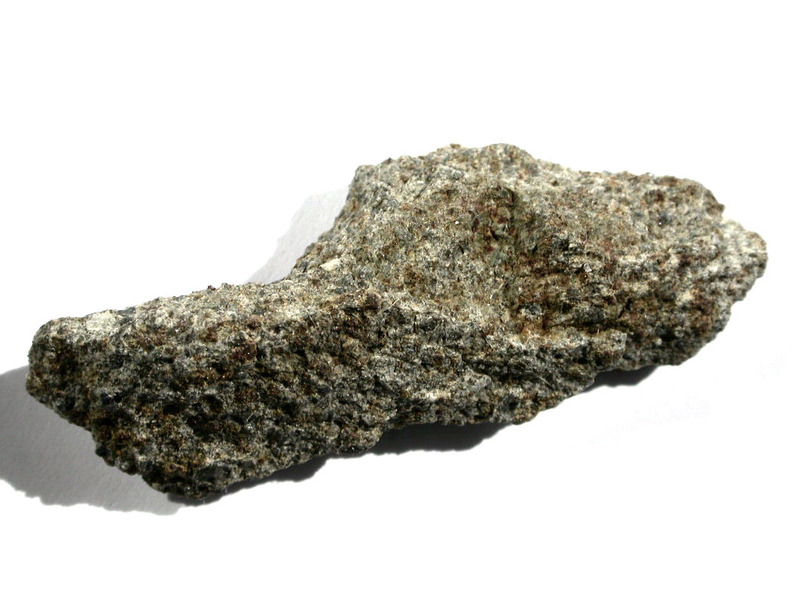 The Mayo Belwa meteorite fell in the Adamawa district of north-eastern Nigeria during the evening of 3 August 1974. A fireball was seen by herdsmen and sounds were heard over an aera extending to 25 km from the impact site. Only one stone, weighing 4.85 kg, was reported to have fallen and this was taken to the Geological Survey of Nigeria; it was reported that the stone smelt strongly of sulphur when first received. Mayo Belwa is an enstatite rich achondrite with a number of unusual features, in particular the abundance of vesicles and highly shocked olivines, which are rarely seen in other enstatite achondrites. Mayo Belwa Aubrite; fell in Nigeria 1974 August 3. 0.610 g from the Monnig Coll. A view of Benares (India) in 1904. 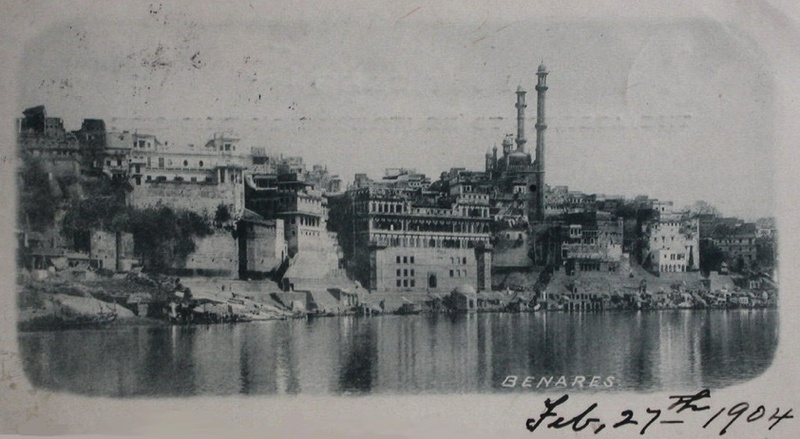 The above postcard is more than 100 years old and shows a view of Benares (now: Varanasi) situated at the River Ganges. But another 100 years before this picture was taken, a meteorite fell on our planet, not far from Benares. The German text below mentions: „Many pieces fell on a village or around six villages, but none fell on a house. Benares (a) LL4; Uttar Prdesh, India, fell 1798 December 19, 4.484 g, (ex coll. Prof. P. Scalisi). Annalen der Physik; Band 41. "In der Nacht erschien am Westhimmel ein grosses Meteor, das ein lebhaftes Licht verbreitete, und indem es in der Luft zerbrach, sich in mehrere Stücke zertheilte. Es liessen sich anfänglich drei Schüsse, wie Kanonenschüsse, hören, dann folgten mehrere, die einem Musketenfeuer glichen. Man bemerkte damals nicht, dass etwas vom Himmel gefallen sey; aber als am anderen Morgen die Dorfbewohner ihr Vieh auf die Weide trieben und auf die Felder gingen, fanden sie Steine, welche herabgefallen waren. Sie hatten 3 bis 8 Winkel, und wogen 4 Unzen bis 10 Pfund, und waren auf die Felder und das Dorf, aber keiner auf ein Haus gefallen. Jeder, der welche fand, nahm sie mit fort. Sie fielen um 6 Dörfer, in einer Länge von 2 englischen Meilen. Ihre Farbe war schwarz, und sie rochen nach Schiesspulver. Auf ihrem Bruch glichen sie glänzendem und zerriebenen Sande. Sechs andere Zeugen, die alle Steine gefunden, oder erhalten hatten, bestätigen diesen Bericht durch ihre gerichtliche Aussagen, welche ebenfalls abgedruckt sind, doch weiter nichts merkwürdiges enthalten. Man wusste da, wo das Protokoll aufgenommen wurde, nur von etwa zehn Steinen, welche bekannte Personen aufgelesen und mit fortgenommen hatten." 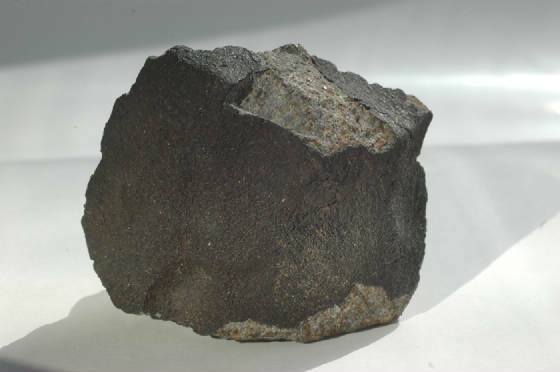 To see more historic Indian Meteorites from the PMMC, please click on the Link below! Timochin H5; Fell in Russia in 1807 March 25, 2.147 g crusted fragment. Zeitungsnachricht von einem Meteorsteine, der in Russland herab gefallen ist. Die Akademie der Wissenschaften wird nicht unterlassen, obigen Meteorstein mit aller der Aufmerksamkeit, die dieser wichtige Gegenstand verdient, zu untersuchen. Grosnaja CV3.3 Ox. ; Russia, fell 1861 June 28, 0.698 g (ex coll. Dr. M. Prinz, N.Y.). 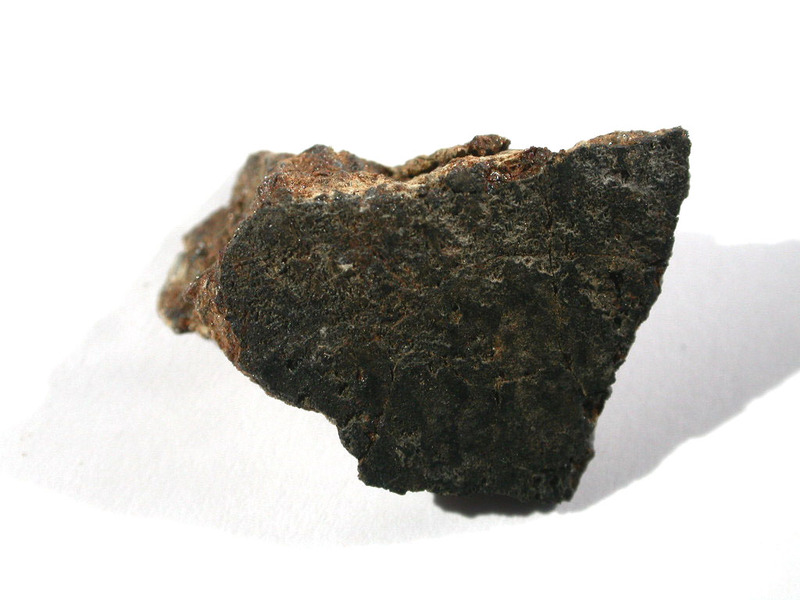 The Grosnaja meteorite is classified as CV3.3, belonging to the Oxidized-Bali subgroup (3 out of 3) including Bali, Kaba, Grosnaja and Mokoia. 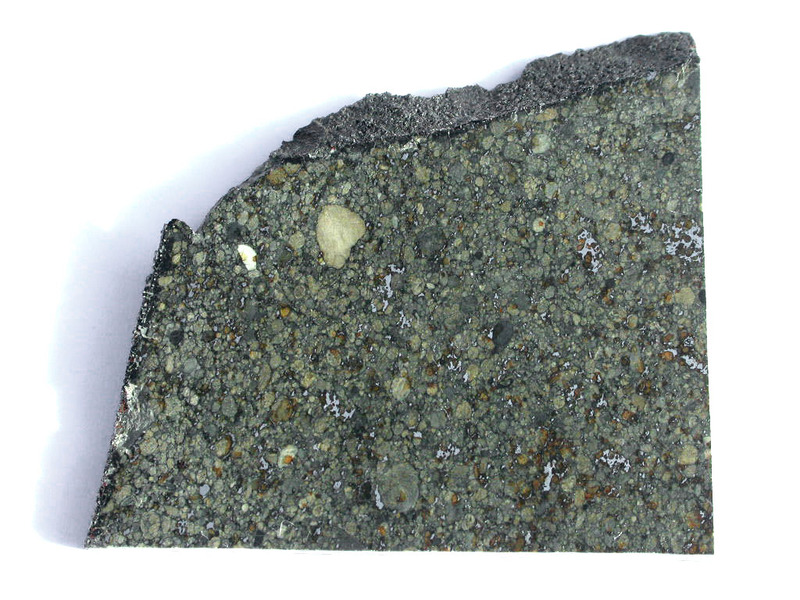 In the book: „Meteorites“ by Robert Hutchison (2004) Grosnaja is classified as CV3.0. 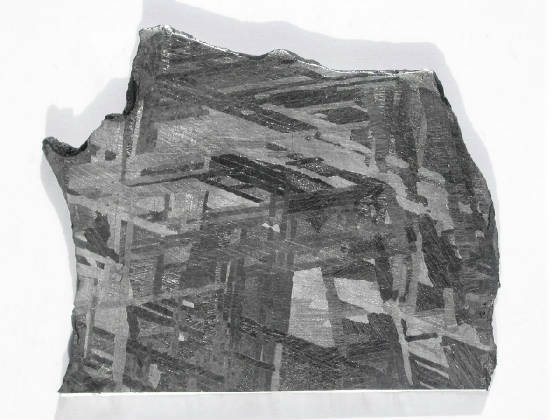 The above cut fragment of the Grosnaja meteorite was acquired many years ago in a trade from Dr. Martin Prinz of the American Museum of Natural History in New York. 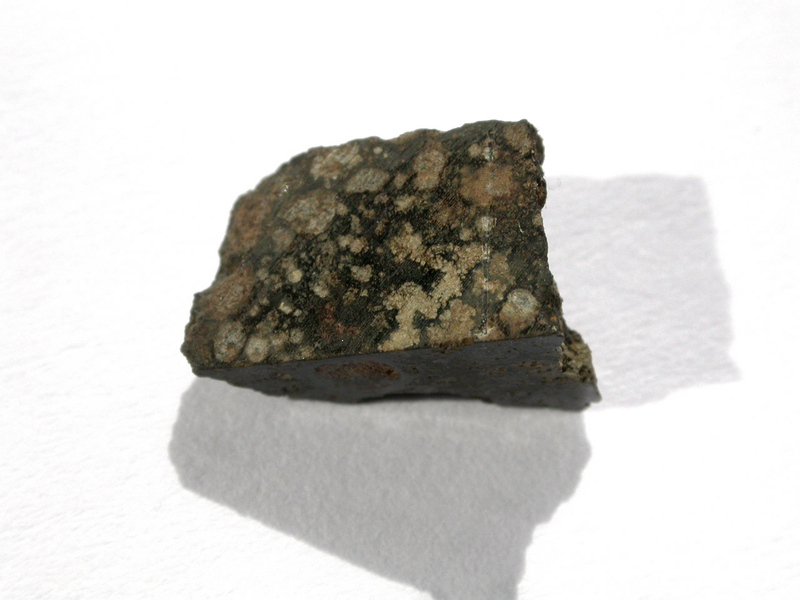 Grosnaja - a small meteorite with a big history! The Grosnaja meteorite fell in the early morning hours on June 28, 1861 in a rather remote place in the southwestern part of today's Russia. "Sixteen years ago Abich, who was at the time in Tiflis, sent to Gustav Rose, in Berlin, a short description of a large fall of meteorites at Grosnaja on the morning of the above day. The grater number appear to have fallen into the river Terek; one fell in the great square in the interior of the (?Staniza) barrack, and entered the ground to the depth of 1 ¾ feet; it pursued an oblique course trough the air, and was distinctly warm when dug out. The meteorite had the form of a huge hailstone, and was covered with a black crust. 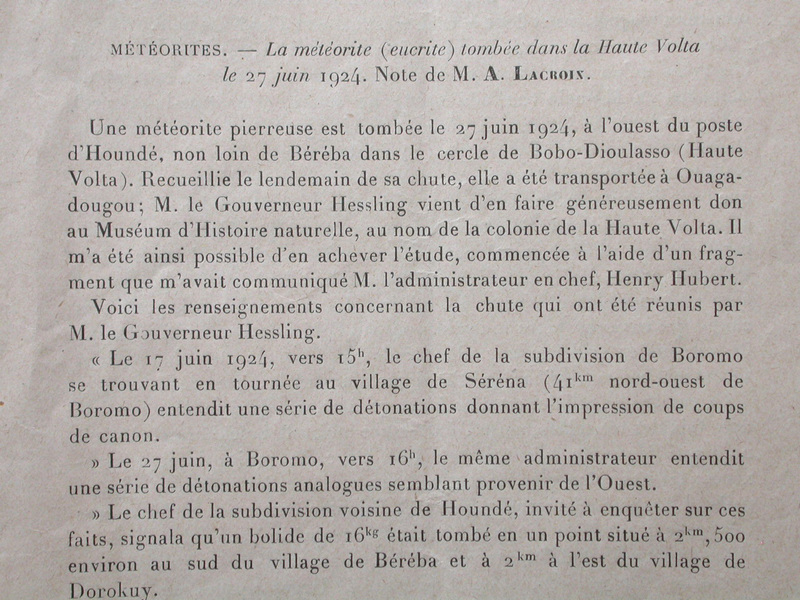 Abich, who had taken up his residence in Vienna, placed the stone in the hands of Professors Tschermak and Ludwig for examination, and the result of their investigations, together with a detailed report of the circumstances attending its descent, have been incorporated in the paper by Professor Tschermak, referred to in the note. It is stated in the report drawn up by General-Major Kundukof, military commandant of the Tschetschensk district, that on the night of the 15th-16th June, a barely dark one, there was neither thunder, wind, nor rain. On Friday, the 16th, in the morning was clear and bright; light rain-clouds, which however brought no rain, hung on the western horizon over the station Mekenskoi, the inhabitants of which were startled at about seven o‘clock by a deafening sound, which continued a long space of time. A non-commissioned officer of the Mosdok regiment, who was walking from the Navursky of the Mekenskoi barracks, noticed that the sound appeared to come from the west, where the rain-clouds were, and describes it as resembling that produced when many cannon are fired simultaneously, followed by a deafening noise like that caused by battalion-firing. He observed the flight of one of the stones, which descended at a low angle, and it was accompanied by lateral bands of a bluish colour (...). The stone fell in the court-yard of a house about two paces distant from a summer-house, and thirty paces from the bank of the Terek. A soldier‘s wife, standing on the threshold of the house, drew back in the greatest alarm as the meteorite struck the ground two paces from her with all the violence of a bomb-shell, scattering the earth over the wall of the house. A soldier soon probled the hole with a ramrod, and found at a depth of rather more than a foot fragments of the stone weighing in all ten pounds. Many heard a second sound, as though the meteorite burst twice in its descent through the atmosphere, and the noise attending the fall was observed by persons eight versts (Russian unit of length, equal to 3500 feet or 1.066 kilometers) distant on the other side of the Terek. A woman who was occupied in washing clothes, at a spot about 1050 feet distant from the point where the meteorite struck the ground, heard fragments, which had been detached by the explosion, fall into the river Terek. The water fizzed just as it does when brought in contact with large quantity of heated iron. The Grosnaja fortress was founded in 1818 as a Russian military outpost on the Sunzha River by Terek Cossacks and was a prominent defence centre during the Caucasian War. After the pacification of the region, the military use of the old fortress was obsolete and in December 1869 it was renamed Grozny. - During the First Chechen War, Grozny was the site of an intense battle lasting from December 1994 to February 1995 and ultimately ending with the capture of the city by the Russian military. - Grozny was once again the epicenter of fighting after the outbreak of the Second Chechen War, which further caused thousands of fatalities. During the early phase of the Russian siege on Grozny in October 25, 1999. - Today, the federal government representatives of Chechnya are based in Grozny. Even though the war is officially over, political murders, bombings and clashes between the Russian forces and the separatists continue but are becoming increasingly sporadic. Béréba EUC (monomict); Bukina Faso, fell 1924 June 27; 7.91 g, ex coll. Rob Elliott. 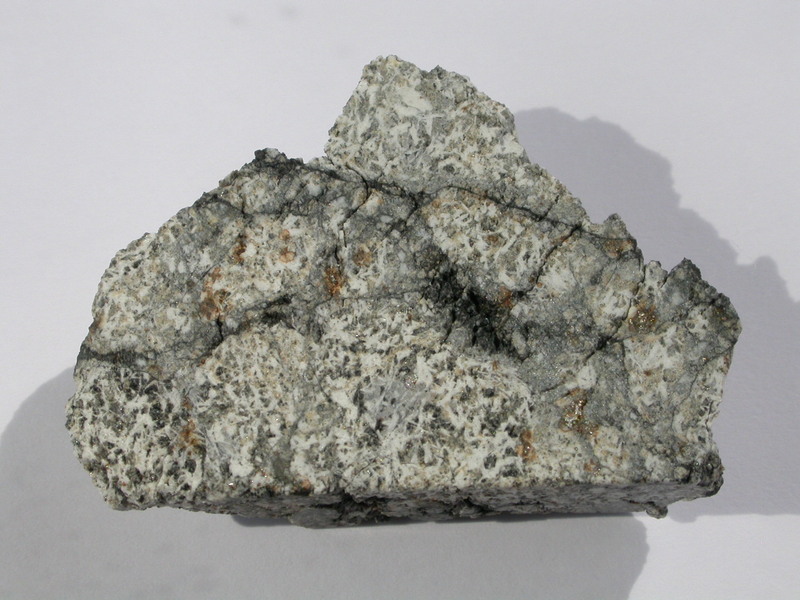 The Béréba meteorite fell in 1924 June 27 in Bukina Faso. At the time of the meteorite fall, this aera of the world was part of French Upper Volta (French: Haute-Volta), a French colony. Béréba is a rare eucrite and stems very likely from Vesta (diameter about 530 km), the third-largest asteroid in our solar system. "One intact stone of about 18 kg had been found. Only on two sides a small piece had been detached, so the main mass weighted 17.4 kg. The meteorite fall frightened the local inhabitants and they first refused to transport the meteorite to Ouagadougou. The meteorite was finally donated to the Natural History Museum (in Paris) in the name of the colony Upper Volta." Contemporary text describing the fall (see above). Bovedy L3; Northern Ireland, fell 1969 April 25, 20.8 g (ex Q. David Bowers collection). 1969 - what a year! 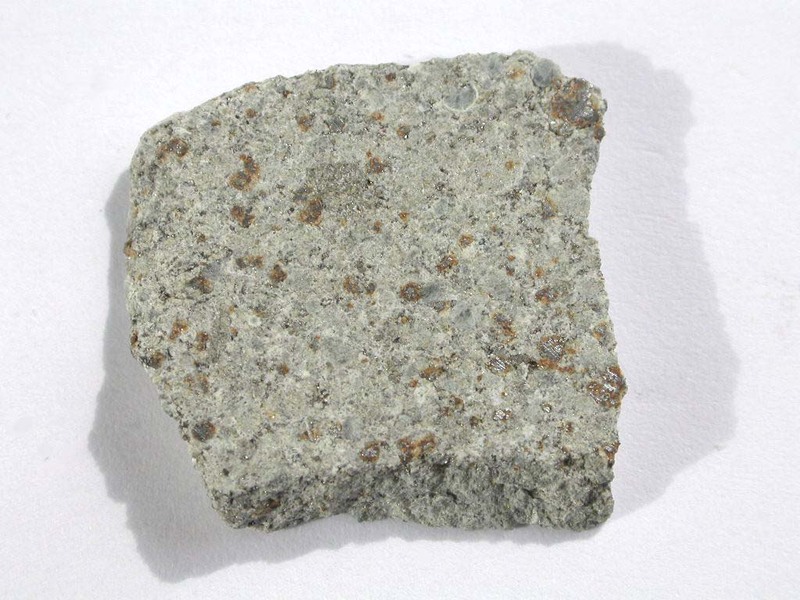 - On February 8, 1969, the Allende meteorite fell at 1:05am in Pueblito de Allende, Chihuahua State, Mexico. It is a rare carbonaceous chondrite CV3. - On July 20, 1969, Commander Neil Armstrong became the first man on the moon. - On April 25, 1969, at 9:22pm a fireball was observed travelling southeast to northwest over the British Isles alighting in Northern Ireland where one stone of 513 grams fell through a roof in Sprucefield, County Antrim, and broke in two. A second stone fell 60km away on a farm in Bovedy, it weighs 4.95 kilos. The fireball was described by numerous observers as blue-green to fiery-white in colour with a brightness at least equal to the full moon. The bigger mass gave the meteorite its name: BOVEDY. It is a rather rare unequilibrated L3 chondrite showing stunning chondrules. In addition, a lady was outdoors with her tape machine recording bird songs (of a song thrush [Turdus philomelos]) when the meteorite passed over and she caught the sounds of the detonations. The booms and rumblings echo around for several seconds after the first detonation, and a frightened dog starts to bark soon after. Barwell L6; England; fell 1965, December 24, 16:20 hrs, 5.17 g, (part of #32885). Above left: This beautiful fresco named "Adoration of the Magi" on the walls of the Scrovegni Chapel in Padua, completed by the great Florentine Giotto di Bondone (1267-1337) has always been regarded as the Halley's comet in its 1301 appearance, which inspired Giotto for his painting. 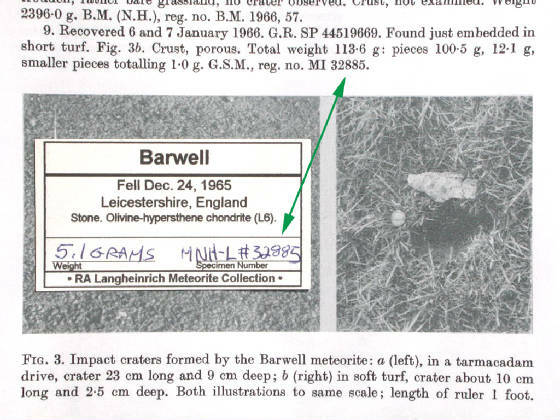 The Barwell meteorite is very well documented (The pictures above are from the book: Comets, Meteorites and Men by Peter Lancaster Brown, 1973). Furthermore the whole story is published very much in detail in the MINERALOGICAL MAGAZINE, Vol. 35, September 1966, No. 275 by E. A. Jobbins and F. G. Dimes (see link below). 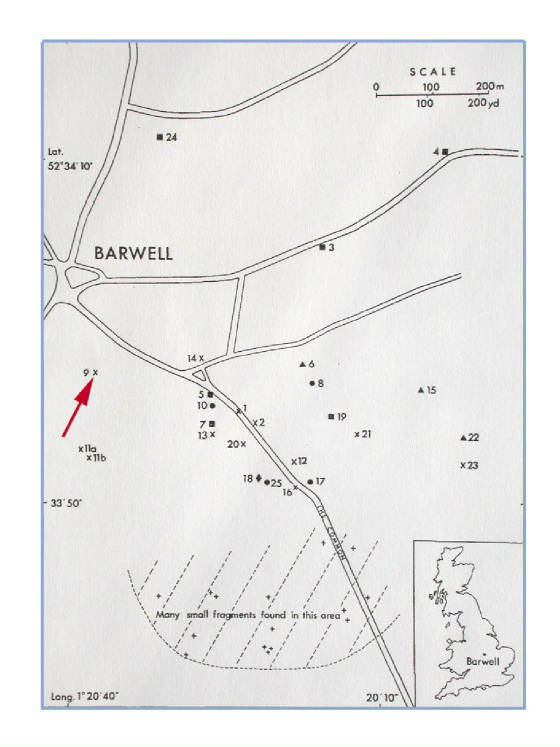 The 5.17 gram piece (top right) was part of a bigger mass that had been found near the center of Barwell (see map below), embedded in short turf. The pieces totaling 113.6 g (above right and below right) were no. MI 32885 and part of the collection of the Institute of Geological Sciences in London and - according to the label - moved later to the Natural History Museum. On Christmas Eve 1965, what may have been mistaken for the bright star in the east, was in fact a fireball sweeping across England, announcing the arrival of what was to become Britain's largest meteorite. The sight of this flaming fireball was followed by a sonic boom, a tremendous bang, a roaring noise as the rock exploded into thousands of pieces of what became known as the Christmas meteorite. Had the meteorite landed elsewhere, it could easily have been a different story. About the Kandahar (Afghanistan) meteorite: Dr. J. Geiss from Bern wrote a letter to E. L. Krinov, dated July 22, 1960. Dr. Geiss was able to get the meteorite out of Afghanistan with the help of a member of the diplomatic corps (Prof. O. Eugster pers. commun. to J. Nauber). Fresh meteorites were extremely rare at that time and Mr. Geiss was very keen to get a piece for scientific studies. Unfortunately the TKW (Total Known Weight) was very low and to date, all known fragments together are only a mere 525 grams. The 3.3 g part slice above comes from a Swiss museum and was cut off the BE-71-4 mass. Bondoc MES, Philippines, found 1956, 20.6 g end cut with Nininger/AML number. 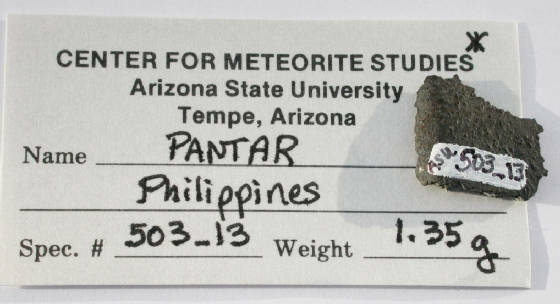 The 20.6 g end piece of the Bondoc meteorite in my collection has a small number, painted with white ink: (2)684.255. 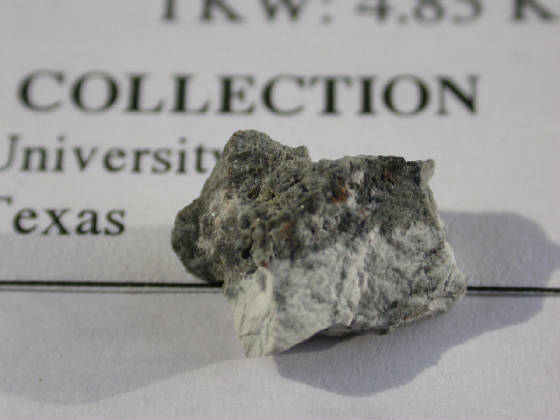 The base of the ASU Meteorite Collection is the Nininger Collection, purchased in 1965. A pair of lawyers had contacted two Japanese geologists who desired an iron mine, but when these two were escorted to inspect the prospect they were disappointed: This was no iron outcorp, but only something that had fallen from the heavens, and they turned away. 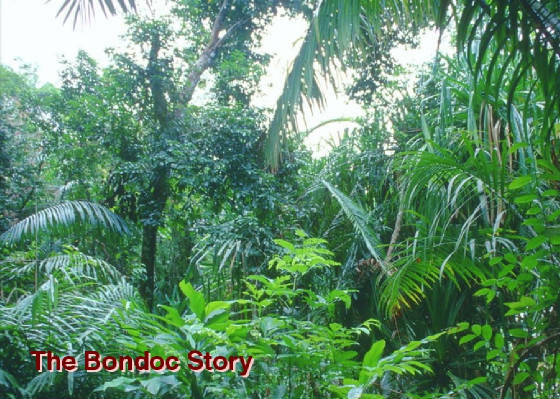 To reach that remote jungle location they had to spend several hours aboard a slow train, then they waited for a bus that only runs when the weather and the roads are not too bad. It normally takes one day to reach a costal village. From there a small boat carried them to and into the mouth of a river. Then they had tramped for ten hours through crocodile and serpent-infested jungle only to find a lone metallic lump which they judged to be of low-grade quality. Ten years earlier a visitor from Manila to our museum on Highway 66 had shown keen interest in meteorites. He was John A. Lednicky, a University of Kansas graduate who had lived in Manila most of his life. He said that if and when I needed assistance he would be glad to help. I decided to write to John Ladnicky to request the help he had offered. On September 15, 1959, Lednicky wrote, that he must wait until after the national elections because bandits were operating on the peninsula; there had been considerable shooting. But after the election there followed more rains, more typhoons; then an illness kept Lednicky in the hospital for some time. On February 13, 1961 Lednicky wrote that he visited the site and that he thinks it‘s not a meteorite. But I was sure it was a meteorite and I wanted it more than ever. On January 9, 1962 Lednicky reported that they had been able to load the meteorite on a wooden sled, but that three carabaos (water buffalos) had been unable to move it. With a larger bulldozer they finally managed to move the meteorite to the mouth of a river. Now a raft was being built on which the meteorite was towed to Manila. 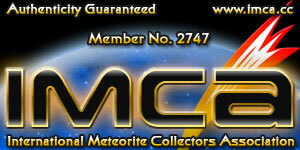 I'm member # 2747 of the International Meteorite Collectors Association (imca).